Continental is the perfect partner for the construction industry offering a comprehensive product portfolio. Hanover, February 22, 2017. 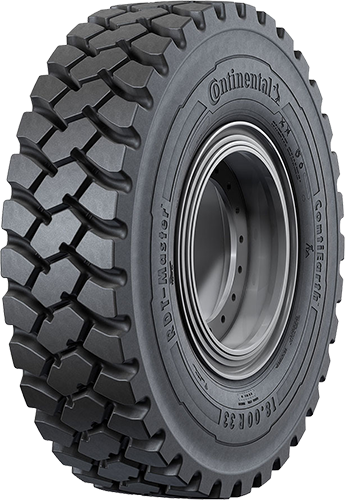 Continental and Caterpillar Inc. have signed an agreement to equip Cat Off-Highway-Trucks (model series 770 to 775) with Continental RDT-Master tyres in sizes 18.00R33, 21.00R33 and 24.00R35. The agreement also calls for the two companies to collaborate on designing new tyres for two other Cat products: Medium Wheel Loaders and Articulated Dump Trucks. Continental’s RDT-Master tyres feature all-steel radial casings and belt packages for cut and impact resistance that provide outstanding traction in all directions. They will be listed on Caterpillar price lists starting in 2017 and can be specified by Caterpillar dealers and end users as first fit tyres on new equipment orders. As part of the agreement, Caterpillar will equip Cat Off-Highway-Trucks with Continental RDT-Master tyres.